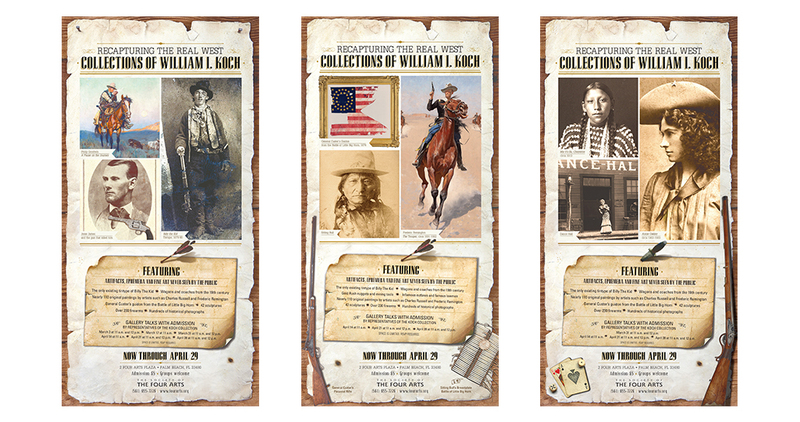 Our agency manages the marketing and PR for William I. Koch’s independent secondary school, Oxbridge Academy, so the billionaire philanthropist hired us in 2012 to publicize his breathtaking exhibition of western art and artifacts at the Society of the Four Arts in Palm Beach, FL. We crafted a strategic mix of national and regional advertising across multiple creative platforms, supported by media outreach that significantly raised the profile of the exhibit regionally and nationally. The result? Record-breaking attendance for the Four Arts in its entire history, and a two-week extension of its run date.